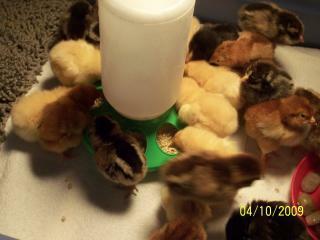 These are a few of our first chicks, Black Australorps and a Buff Orpington . Our second batch of chicks, EE's Buff Orpingtons, RIR and Silver Laced Wyandottes. Two days after they arrived I left for TN to help out my son and daughter in law with the birth of their second child. 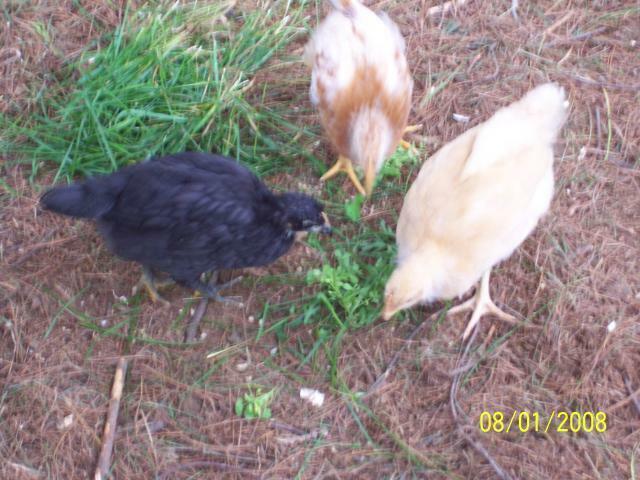 Here is Daisy-Red Star, Maizy- Buff Orp and Camilla- Black Australorp.